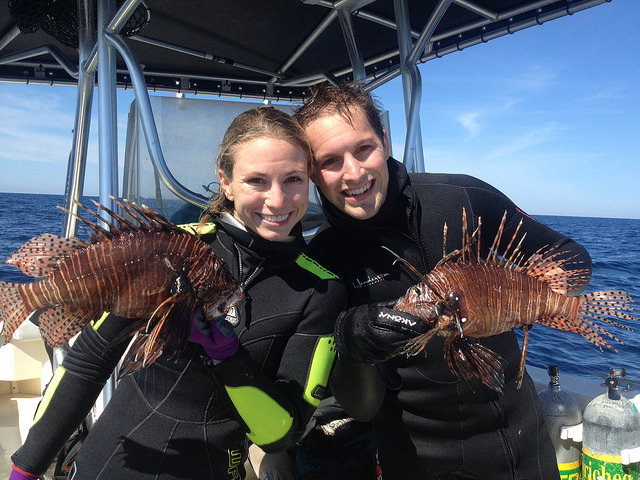 Are you ready to find out how many lionfish can be removed from Florida waters in one weekend? The Florida Fish and Wildlife Conservation Commission (FWC) is celebrating its first annual Lionfish Removal and Awareness Day by hosting and promoting a weekend of exciting events across the state, starting Saturday, May 16, including a festival in Pensacola. Lionfish Removal and Awareness Day (established to be the first Saturday after Mother’s Day each year) was created by FWC Commissioners to help draw attention to the lionfish issue. Lionfish are a nonnative, invasive species that have a potential negative impact on native species and habitat. 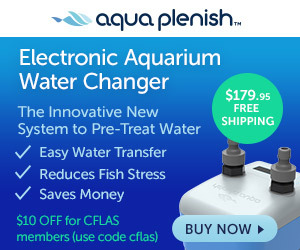 Ready to help control the lionfish population? Check out the following lionfish events. Can’t make any of the organized events? No worries. The FWC is encouraging all divers to remove as many lionfish on the weekend of May 16-17, no matter where they are in Florida. The FWC will also be unveiling its new Reef Ranger program this same weekend. FWC will be hosting the first ever Lionfish Removal and Awareness Day Festival and Tournament at Plaza de Luna, 900 S. Palafox St., Pensacola, on May 16-17 with the help of sponsors like Guy Harvey Magazine, Coast Watch Alliance, Escambia County Marine Resources, Marina Management, Jaco’s Bayfront Bar and Grille, Guy Harvey Ocean Foundation, the city of Pensacola and tournament host Gulf Coast Lionfish Coalition. This event will include celebrity chef demonstrations, lionfish tastings, fillet demos, a visit from world famous artist and marine conservationist Guy Harvey, family-friendly activities such as games and a fountain to play in, and more than 40 art, diving and conservation vendors; there will also be music, food and tons of helpful lionfish information. The festival starts at 10 a.m. and runs until 5 p.m. each day. Updates will be provided from various other events across the state. Want to participate in the tournament? Visit the Gulf Coast Lionfish Coalition (GCLC) webpage at Gulfcoastlionfish.com/lionfish_events to learn more or visit their Facebook page at Facebook.com/gulfcoastlionfishcoalition. GCLC is offering prize money for a number of categories, as well as chances to win great prizes with raffle tickets. Come by to check out the researchers counting and filleting fish. Take a break from festival fun and head over to the Pensacola Museum of Art, where Guy Harvey will be signing autographs from noon to 2 p.m., May 16. His newest exhibit is expected to run May 9 through Aug. 9. Visit Pensacolamuseum.org to learn more. Harvey will also be throwing out the first pitch at the Blue Wahoo’s baseball game that Saturday night. Can’t make the Pensacola festival and tournament? How about one of these events being coordinated by various groups across the state? Are you holding a lionfish-related event in May, particularly the weekend of May 16-17? Email the details (name, city, public contact information and website) to[email protected]. Can't make any of the organized events? No worries. The FWC wants all divers to remove as many lionfish as they can the weekend of May 16-17, no matter where they are in Florida. Remove a lionfish? Report it to the Report Florida Lionfish app or online at MyFWC.com/Lionfish by clicking “Report Lionfish.” The FWC will be keeping tally of these efforts. Send us a photo of yourself and your catch via Twitter or Instagram, using #FWCLionfish and your photo could be featured on our big screen in Pensacola as well as the Reefrangers.com website. Make a pledge to adopt a reef and remove lionfish from it by becoming a certified Reef Ranger. Research has shown that consistent lionfish removal efforts can reverse some of the negative impact lionfish have on affected reefs. Sign up online coming soon. Visit Reefrangers.com to learn more.